Integrity Contracting is the premier provider of construction and contracting services in the Greater Toronto Area. One of the most common issues that we tackle is advising our clients on the best ways to create more space in their homes. The following are five of the most common ways to accomplish this goal; the solution that is best for you would depend on your specific needs. Renovating and furnishing your attic or your basement are two great options, although these spaces are better suited to some functions more than others. Renovating your basement: A nicely finished basement is often an ideal space for a den or a games room, and can also be transformed into an incredibly pleasant and comfortable living area. Do not worry about having to compromise on the storage space that you currently have – with a clever, economical design, you will be looking at a more organized storage area plus some welcoming new space! Remodeling/Furnishing your attic: Does your growing family need an extra bedroom? Or would you like a studio space to call your own? Attic rooms are relatively easy to transform into bright, warm spaces to live and work in. Building out: Expanding your square footage horizontally is the first way to do it. The main drawback to this option is an obvious one – home additions of this sort cut down on your garden space. 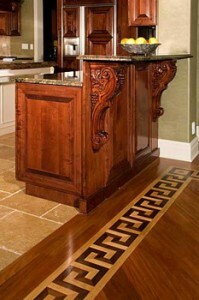 But this may not be your main concern, or perhaps the extended kitchen space that you need is simply necessary. Building up: Adding an extra storey onto your house is an excellent option, especially if you do not have a lot of yard space to work with. Home additions that are accomplished by building up are of course a major investment that will take some time to complete. At the same time, should you need it, this option enables you to even double the amount of space that you had previously. Use the space that you have. You would be surprised at how much new space can be created by simple alterations to your house. Wall space is often underutilized; putting in some well-designed shelves can make a world of difference. Minor renovations that are well thought through can also open up space that you never knew existed. Whether you are thinking about a simple change to your home, or planning complex home additions, we at Integrity Contracting are the experts that you can trust. The honest, top quality work that we do is the foundation of our thriving business. For many homeowners, there often comes a point when you realize – I need more space. That modestly-sized one storey house was ideal when you moved in eight years ago, but that’s just not the case anymore. Maybe you have made the shift from an office job to working from home, or maybe you have a kid on the way. Either way, the question that often needs to be answered is this: Should you move or remodel? Do your children have good friends in the area? Do you see yourself and/or your family being content there for the next five, ten, twenty years? How long is your commute to work? How do you feel about a fresh start? Perhaps it is something that you desire, or perhaps you know it is just not the right time. Which option makes the most sense, financially? Home additions are definitely an investment; depending on the scale of the project it could take a significant amount of time and be incredibly inconvenient. (Think construction crews trampling in and out of your home for weeks.) On the other hand, you get to design and build exactly what you need, and house additions often recoup between 60% and 80% of their original cost. Moving house comes with a whole different set of financial commitments, including agents’ fees, mortgage fees, and moving van costs, not to mention all that time and energy you will spend packing and unpacking. While neither option comes without its drawbacks, it might be safe to say that if you are happy with your current location and do not want to deal with the headache of finding a new home and having to resettle in a new neighborhood, then house additions are the best way to go. However, if you relish the opportunity for a big change, or if you simply need a lot more space, it would make the most sense to just start anew. If you decide to remodel, you will need to find out what types of home additions are possible for you; often there are laws that severely limit the types of changes you are allowed to make to your house. If you would like to explore some of the available options regarding building a home addition, consider talking to one of our professionals at Integrity Contracting. 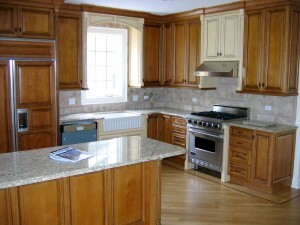 We will help you find the remodeling option that suits you best. After considering your various options for months, you have finally come to the conclusion that building a new home addition is the wisest choice, given your budget and your needs. But how do you go about beginning the process of finding a contractor that you can trust and rely on? First of all, ask around. Get references from friends, family, colleagues, and neighbors. Perhaps a couple down the street recently got a new patio and a kitchen extension put in – even better! You will get to examine the quality of the work firsthand. Second, it is always a wise idea to consult with a few different contractors. House additions are not a small job or investment; you will want to make sure that you find someone who can deliver top-quality work. How do you determine if a contractor is honest, ethical, and efficient? Find out if they are licensed to operate in your state or region, and ask if they are bonded and insured. If any accidents happen during the construction, you should not be held liable for the costs involved. Ask about a mechanic’s lien. Sometimes, house additions are completed by your main contractor subcontracting out various parts of the job. Under the mechanic’s lien law in some states, if you pay your contractor but, for example, they do not pay the electrician, that electrician may place a lien on your home. This renders you liable for the cost of their work. Can the contractor provide you with examples of similar projects or house additions that they have completed? If you get the opportunity to talk to other clients of theirs, be sure that you do. What better way is there to find out if a contractor is going to deliver on what they promised? Find out how many other projects the contractor will be working on simultaneously in addition to yours. Home additions can be rather disruptive to your living situation, so you do not want it to drag out any longer than necessary. Ask for a timeline. Can the contractor provide you with a fixed start and end date? If they are conscientious, experienced, and efficient, they should not hesitate in this regard. Be wary if a contractor begins to beat about the bush or give you vague, non-committal answers. Finally, be sure to obtain itemized lists of expected costs, and check how much down payment is required of you. If your contractor has a steady work and cash flow, you should not be expected to foot large costs upfront. If you keep these tips in mind, you will be well on your way to finding a contractor you can rely on to and is capable of building high quality home additions. At Integrity Contracting our business is built on accountability to our clients and quality work; we are also bonded and insured. Do not hesitate to consult with us! Home additions are always a significant investment, and you have probably already thought long and hard about when, why, and how this project is going to be accomplished to your satisfaction. Integrity Contracting is one of the premier providers of contracting and construction services in the Greater Toronto Area, and we pride ourselves on our honest and quality work. Part of that job is to equip you, the homeowner, with as much knowledge as possible – which will enable you to make solid decisions throughout the process that are right for your home. Here are some tips that will help you keep within budget and still get exactly what you want out of your home additions. Assess what you really need. Is that home theater absolutely necessary? Or will you be better off with pushing out the back wall of your den to create the space that you need to add a comfortable couch or two? At the same time, think ahead, and plan ahead. You shouldn’t make the mistake of trying to save some money right now, only to realize two years down the line that your family actually does need that that extra bedroom or study space. Find out what the legal limits and requirements are before embarking on the design stage of your home addition. Don’t hire an architect to design the additional storey of your house, only to find out afterward that the extra storey will exceed the height limit of buildings in your area. Obtain the right permits. Performing house additions without the proper permits is rather imprudent; having the right papers in your possession will protect the resale value of your house. 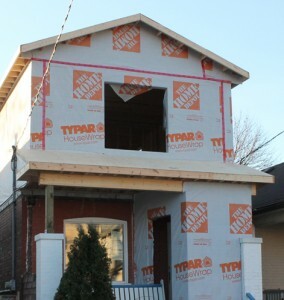 Additionally, find out how the addition will change the property taxes and insurance on your house. Take the architect out of the equation. Unless it is a really big remodeling job, you probably will not need an architect’s service to design that extra room or larger kitchen. Experienced contractors should have plenty of ideas that you can work with. Make an effort to do the demolition work yourself. Unless there is complex electrical wiring involved, knocking down some drywall and cleaning up the mess is a task that is quite doable. If you have some construction skills of your own, put them to use! Tasks like painting and sanding are often jobs that many would be able to complete on their own. Keep with the design and color theme of the rest of your house. Not only will this improve resale value, but the ideal home addition should feel like a part of your existing home. Carefully consider the materials you want to use. Energy efficient materials and appliances may cost more initially, but will save you money in the long run. If you have sufficient knowledge and experience, you can hire yourself to be your own general contractor. This will help you save significantly on costs, but do this only if you have the knowledge and time to coordinate all the subcontractors that you will need. At Integrity Contracting we can provide you with further professional consultation on home additions. We are the contracting company that you can always rely on for honest, straightforward advice!